We are KUSA registered breeders. 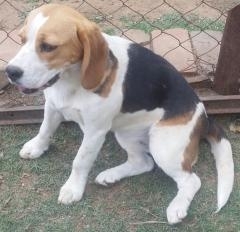 We are situated on a farm outside Villiers (Free State) South Africa. It is about an hour and half drive from Johannesburg. People are welcome to come and visit us on the farm. 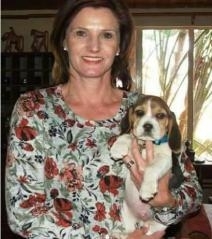 Delivery of puppies can sometimes be arranged if it is in the Johannesburg / Pretoria area. Puppies can also be put on a flight elsewhere at extra cost. 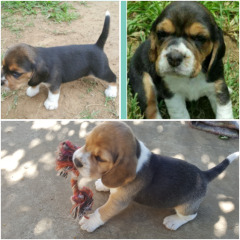 We have bred beagles since 2005 and we have adorable tricolour puppies occasionally available. 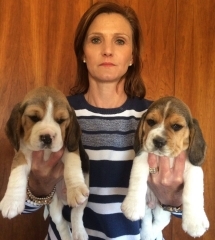 The puppies will be dewormed at 3 weeks and also inoculated and dewormed at 6 weeks. They will be ready to go to loving homes at 8 weeks. The name, "Hampstead," is registered with KUSA. 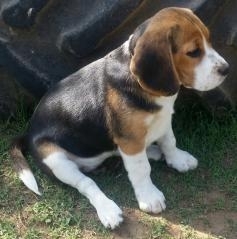 We register our puppies with KUSA. 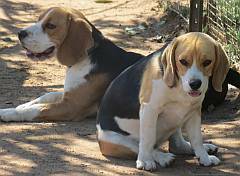 Registration and microchip papers will be sent to new owners. 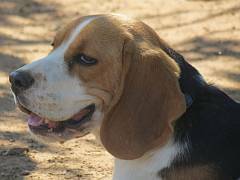 There are breeding restrictions on some puppies, but not all of them.